Evan Bravos, an native son of the Metropolis of Chicago, has recently appeared to rave reviews in a new operatic production of the Grapes of Wrath, composed by Ricky Ian Gordon and librettist Michael Korie, as Tom Joad in an adaptation of John Steinbeck’s 1939 novel. His Grace Bishop Demetrios, who became acquainted with Evan through his pastoral visitations, had the distinct pleasure of seeing him on-stage in the Production of Grapes of Wrath confirming what the reviews have declared: Evan is a talent to watch. Evan spent his formative years as a parishioner of St. Sophia Greek Orthodox Church in Elgin, IL, later serving as choir director of St. Nicholas in Appleton, WI for five years while studying for a B.M. at Lawrence University Conservatory in Appleton, Wisconsin. Evan’s other achievements include other recent roles, including: Sid (Albert Herring), Falke (Die Fledermaus), Bob (The Old Maid and the Thief), Tapioca (L’étoile), Maximilian in Candide. Other partial roles include: Malatesta (Don Pasquale) Belcore (L’Elisir D’amore), and Count Almaviva (Le nozze di Figaro). His concert works include: Duruflé’s Requiem, Orff’s Carmina Burana, Bach and Mendelssohn Magnificats, Handel’s Messiah, Haydn’s Mass in Time of War, Copland’s Old American Songs, Bizet’s Au font du temple saint (from The Pearl Fishers), Brahms’ Requiem, Vaughan Williams’ Songs of Travel. His symphony credits include: Lake Geneva, Manitowoc, Fox Valley, and Elgin Symphonies, the Elgin Youth Symphony and Janesville Choral Union. 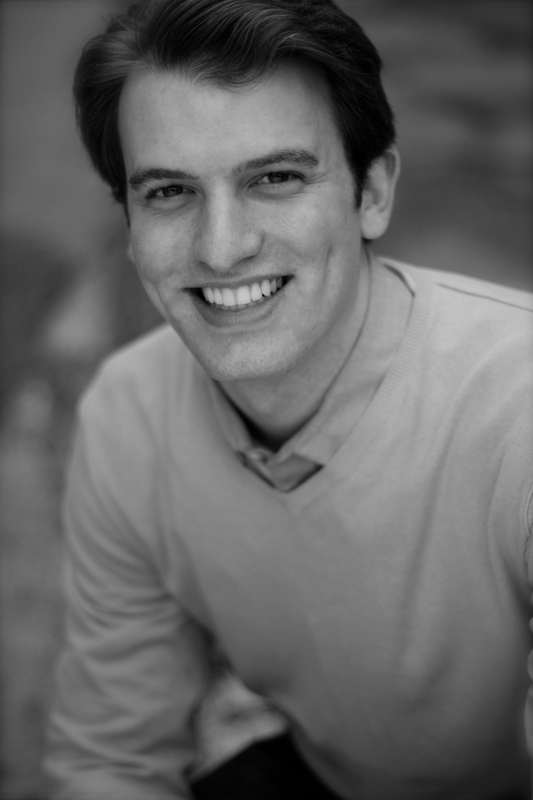 Evan, a lyric baritone, has recently been selected to represent the Bienen School of Music as part of the 2013 Kennedy Center Conservatory Project. (The school's 9th year of participation.) The Conservatory Project annually features rising stars from all the top music school in America. The concert, which will be webcast live, will be held in the Kennedy Center’s Terrace Theater on Monday, April 15, 2013, with a 6 p.m. curtain. His Eminence Metropolitan Iakovos extends his heartfelt congratulations on behalf of the entire Metropolis for Evan’s accomplishments, and looks forwards to his many future achievements in what is certain to be a very bright future.